Heraldry: Computerized Heraldry ... Again! I spend far more time than I should puttering about on the "information highway," and periodically I run across something that I consider to be worth sharing with you. 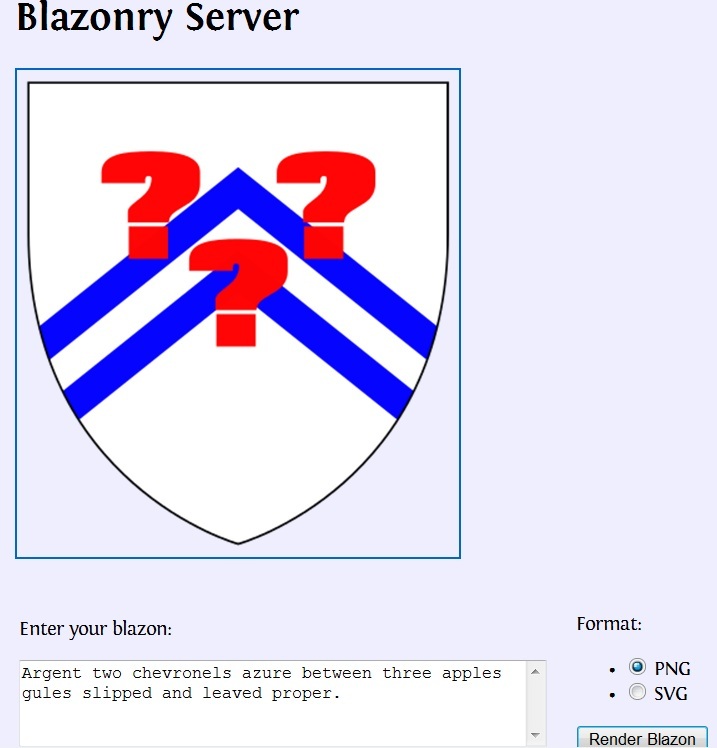 Over the years, several individuals have tried to write software that would create an emblazon - a drawing of a coat of arms - from the blazon - the word description. And it is the sort of thing that you'd think would be not terribly difficult. 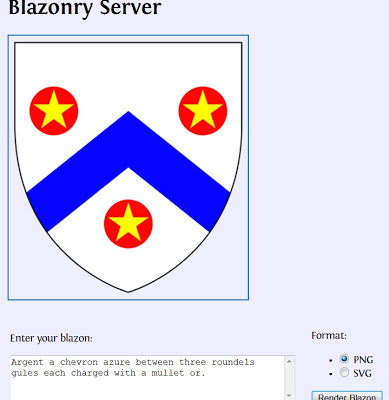 The language of blazon has its own very specific grammar and structure which should make it amenable to being done by computers, at least to a decent extent. The trouble is, of course, is that all of the programs that I've found over the years have had some pretty serious limitations, like the one where the blazon had a sword fesswise on a chief, but the program crammed the sword in palewise, a very unartistic result. This most recent entry is a website (Blazonry Server, at http://web.meson.org/blazonserver/) that you can go to and type in a blazon, then choose an output format (.png or .svg), and then click the "Render Blazon" button to have the program draw the coat of arms for you. And it actually isn't too bad, as you can see from the first two examples below, sampled on the site, of a very simple coat of arms, and then a more complex one. 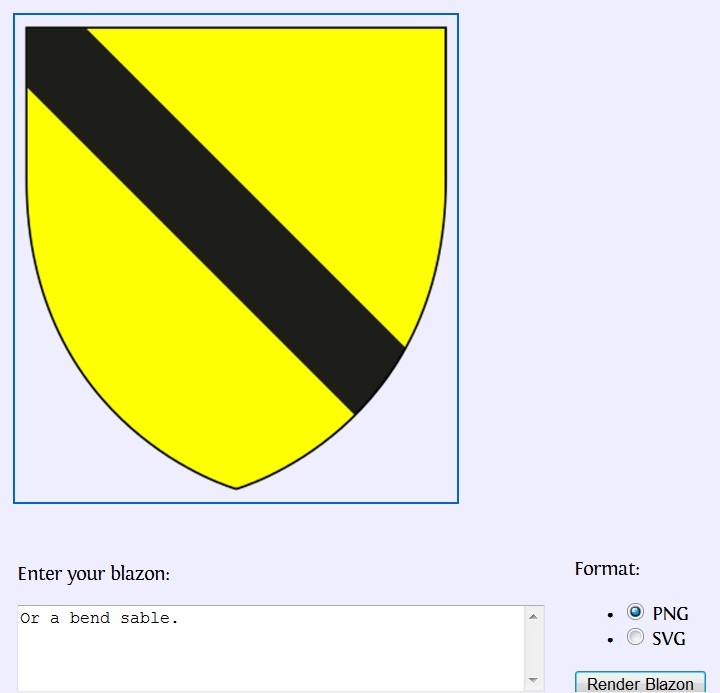 But then, of course, I felt the need to type in the blazon of my own arms, with this result.